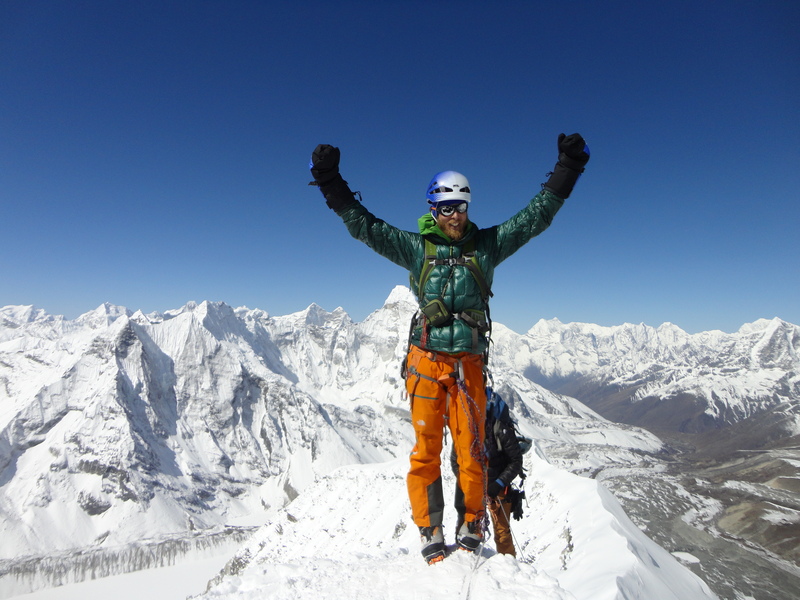 Standing on the summit of Island peak for the 7th time in my life was a privilege and hard earned this year. Each year the mountain is a little different. 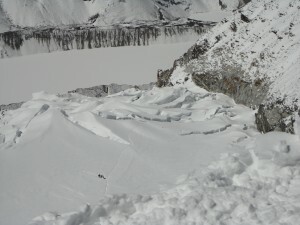 Depending on the day we climb we can have more snow, no snow just ice, wind, searing heat and or chilling temperatures. Island peak is a challenge whatever way you look at it. 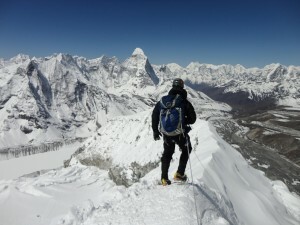 Island peak is not a ‘trekking peak’. The Everest region was rocked by the earthquake on the 25th April this year, five days after our summit of Island peak only a short distance from Mt. Everest. 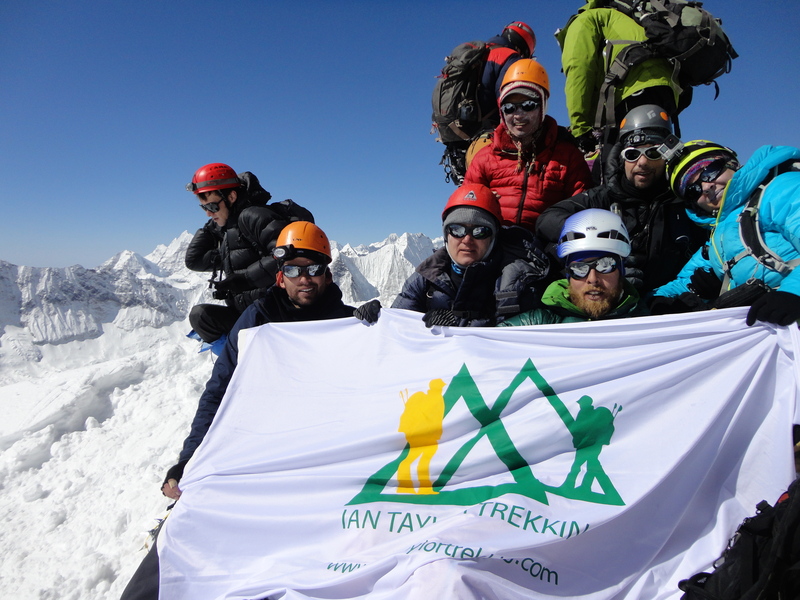 Our Island peak team were back in Kathmandu when the earthquake rocked us. Before the earthquake hit, Kathmandu and the Everest region were experiencing strange weather. It was a lot colder than normal and I think it snowed 12 out of the 19 days we were in the mountains. 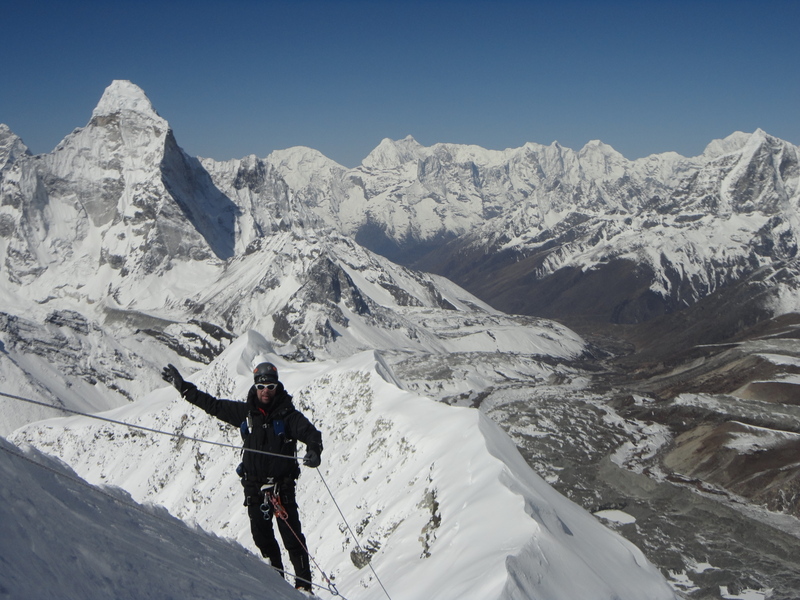 A foot of snow in Lobuche, just below Everest base camp at 4,900m/ 16,076ft on the 13th April. Higher winds, challenging conditions each day. The usually more stable and warmer weather must have been somewhere else. Once again I met many people who were not able to achieve their goal of standing on the summit of Island peak. With shocking preparation, little or no understanding of the acclimatization process, or what the mountain had in store for them. Trying to summit from the base camp, not using a high camp and with a total lack of understanding of what it would be like climbing this mountain. CLICK HERE to watch from footage from 2014. We will edit some of our 2015 footage and post it soon. People invest their money and time in trying to climb Island peak and cutting corners. Do not cut corners and waste your money. Do it the right way with professionals who have the experience, we can prepare you for the trip and give you the best chance at the summit. 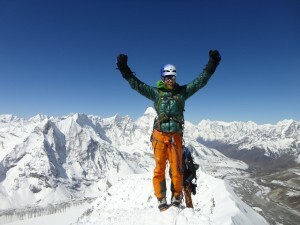 This year 7 out of 9 people make it to the summit of Island peak. Last year everyone made it on all our climbs. 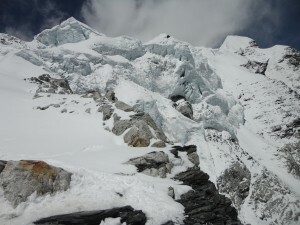 We have the team and acclimatization schedule in place to give you the best shot at the summit. 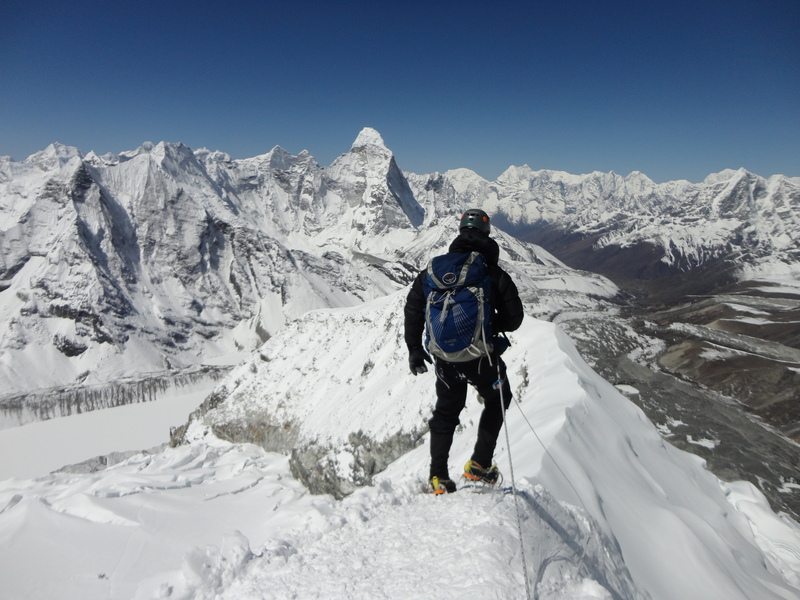 We spend 5 days acclimatizing and training for Island peak. So many people were rolling into Island peak base camp, resting for a few hours and then trying to summit from 5,100m/ 16,732ft base camp to the summit at 6,189m/ 20,305ft on steep terrain. This is possible but not the best way to climb and most people are failing to reach the summit. What a waste of your time and money to come all that way, have done all the training and fail to save a few dollars and cut off those vital acclimatization days. Our video will show you how intense the final climb is to the summit at 20,000 feet. 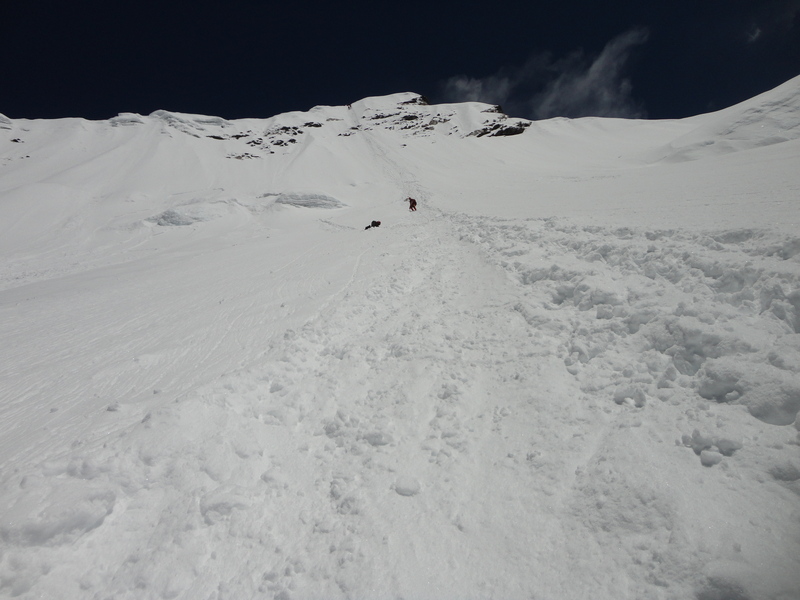 Climbing Island peak is not easy. If you fail to prepare yourself properly and give yourself the best chance, you will fail to climb this mountain. Get in touch with us and climb it the right way with the right team. CLICK HERE and read about what it was like in Kathmandu when the 25th April earthquake hit. CLICK HERE and read other blogs from people who were on our recent trips. 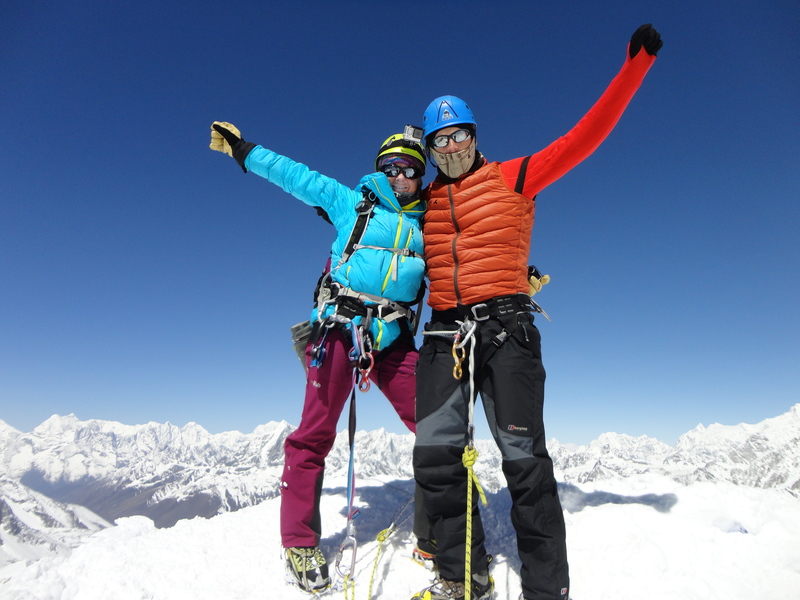 Climbing Island peak in 2015 was great. Why not join one of our other teams in October in join me in 2016. CONTACT US.